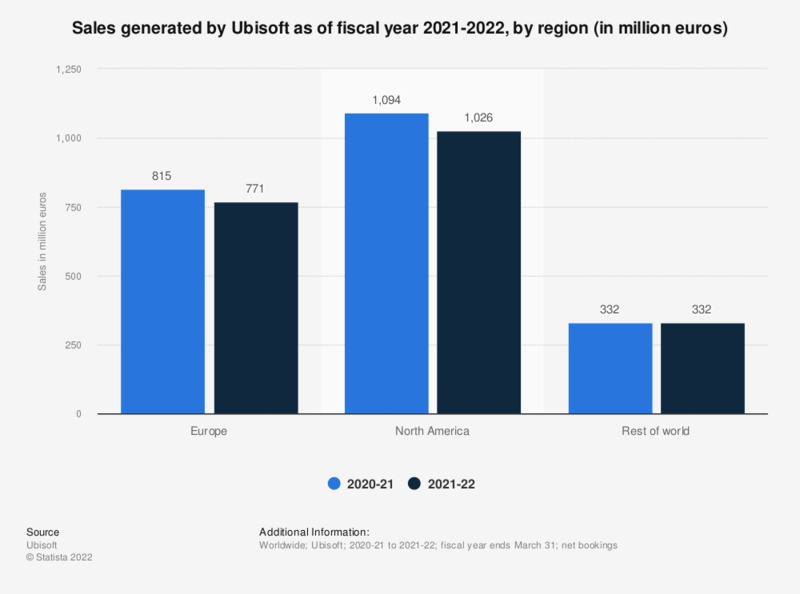 The graph depicts the sales of Ubisoft in the financial year 2017/2018, by region. In the United Kingdom, the sales of Ubisoft amounted to 126 million euros in the presented period. According to the source of each financial year ended 31 March of each year.